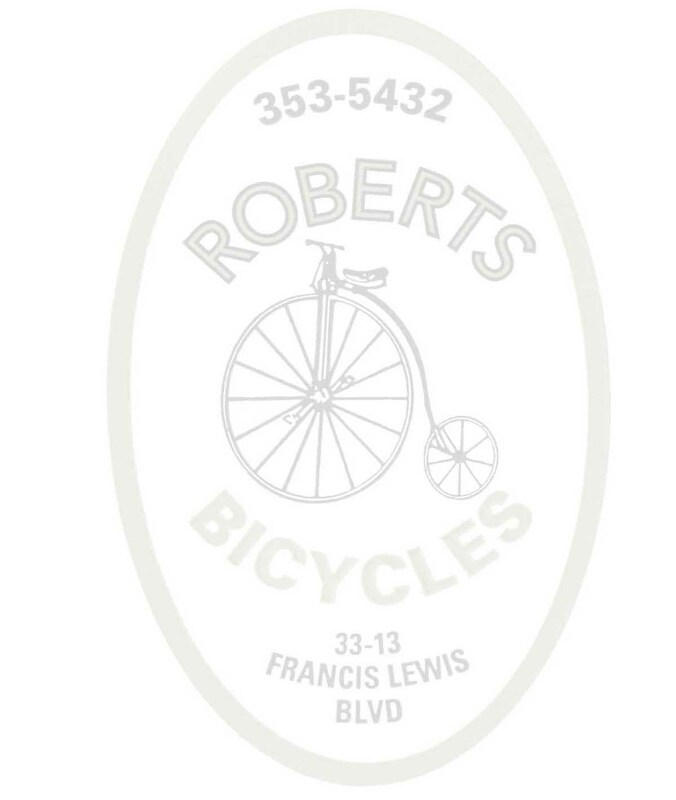 Robert’s Bicycles has been family owned and operated since 1962. Located in Bayside it has been serving all of the five boroughs and beyond from its original location on Francis Lewis Blvd. Robert’s Bicycles caters to all riders; from toddler to adult, from the casual to the more aggressive. With over 250 bicycles on display, we carry the bikes and accessories to fit the needs of our customers. As well as giving our customers the knowledge to help them decide on what bike will best suit their needs, we also give you a 1 year guarantee on our bikes. Many times a bicycle will need adjustments after the initial 30 hours of riding; bearing cups settle into position and cables will stretch, all these adjustments and more are covered under our 1 year guarantee at no cost to the customer. Anything ever feels out of adjustment, just bring it in and we’ll take care of it. We at Robert’s Bicycles hope to make your cycling experience a pleasant one.